Indian ZSMU freshmen are happy to join the Ukrainian culture. Our members of the Department of Language Training gladly help them to get acquainted with a new environment with ease. The educational work at our department is focused on the interest of foreign students in Ukrainian art and traditions, because in this way their pace in learning the language is more successful and faster. Winter holidays offer plenty of interesting opportunities. One of them was used by students of the 16a group, who visited the Zaporizhzhia Academic Music and Drama Theater n.a. V. H. Mahara. Here, on the stage, a concert-fantasy "The Magic Night" was held based on the famous work of M. Gogol "The Night before Christmas". Students were enthusiastically watching the bright performance with dances, songs and traditional New Year's rites. They were impressed with bright scenery, music, and actors' play. 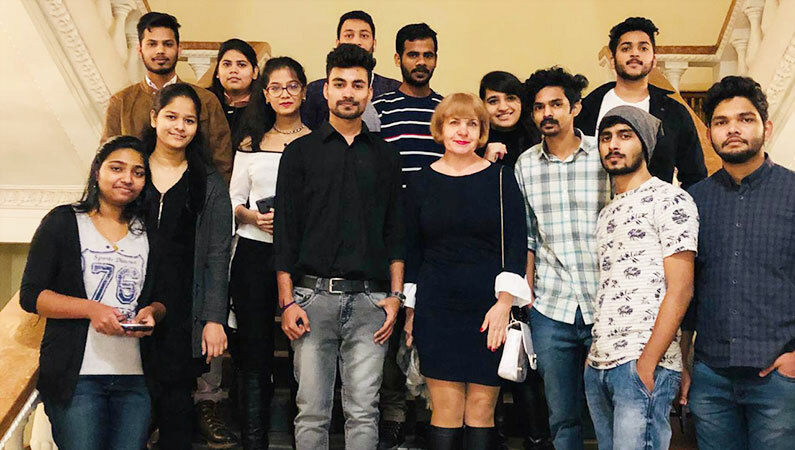 Indian students enjoyed the atmosphere of the theater, shared their impressions and emotions, since they discovered one of Zaporizhzhia's best artistic institutions.